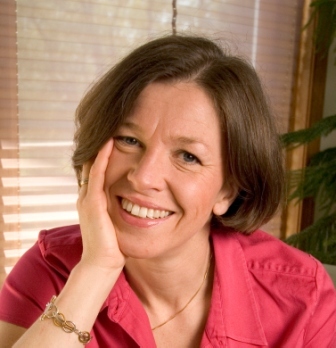 Pascale Brady, founder and President of Global Life Coaching LLC, is The Challenge Coach ©. After 12 years in the corporate world as an international sales and marketing executive, Pascale was certified as a coach in 2005: she has coached more than 130 clients since her CPCC certification with CTI and “PCC” (Professional Certified Coach) ICF accreditation. She is a life and business coach who coaches individuals, couples or groups and specializes in coaching people’s challenges in life or at work (including in relationships or transitions), and also specializes in parent coaching as well as international/expat coaching. She helps those who experience great challenges to courageously “get through to the other side”. Pascale has “walked this talk” many times, and knows that coaching helps clients transform challenges into opportunities for courageous growth. In her work, she draws upon The Coaches Training Institute's (CTI) Co-Active model of coaching, Relationship Systems Coaching, Adlerian Psychology, Positive Psychology, Action Learning Coaching and Imago Theory to encourage courageous growth, respectful communication, and meaningful conversations. Her unique style of coaching – fearless, energetic, and enthusiastic – is wrapped in deep human compassion, which has helped her clients plow through obstacles to achieve desired results. As a consultant coach and National Liaison Officer for Net Expat (European leader in Expat Services), she has coached global employees and their spouses toward successful cultural integration. In addition, Pascale is a Certified Adlerian Parent Educator and has been teaching and developing Adlerian-based Parent Education classes and workshops to DC area families for ten years through the Parent Encouragement Program (PEP). * PARENT COACHING: as a mom, certified parent educator and trained postpartum doula, I will help you with and of your parenting issues. * INTERNATIONAL COACHING: as "quadrilingual" expat, I coach international families/expats toward successful integration in new cultures. I help you transform your challenges into personal growth and success. I am a professional certified life and business coach. I have been a coach since 2005 and have coached hundreds of clients towards reaching their goals. I have a CPCC (Certified Professional Co-active Coach) from CTI, a PCC (Professional Certified Coach) from the International Coaching Federation, and an MBA. My clients use coaching to work through life or relationship challenges at home or at work. I also specialize in parent and expat coaching. Together, we find and develop your inner courage to help you get past your challenges. By gaining inner clarity and creating new direction and goals, you lead a more fulfilled, productive, peaceful, and joyous life. Clients choose me as their coach for my energy and catching enthusiasm, my strength, my unlimited compassion and ability to empathize, my laser-like instinct, and my no-nonsense approach. Call today for your free sample session! I work with those who want powerful tools and exercises to quickly get to "what's stuck" and move on. Work with me if you are ready for change! I will give you all I have and demand a lot. My mission is to make a difference in your life. I have more energy than most. I am incredibly strong and unusually compassionate. I can hold it all. I am highly flexible, very open and transparent. I am incredibly tolerant and accepting. I have heard and seen it all ... or at least a lot. I am also trained in ADLERIAN PSYCHOLOGY and use many Adlerian coaching tools (there are barely other coaches doing this type of work). I am totally EGOLESS and I have one and only goal: YOUR SUCCESS (whatever that means to you). Get a minimum of 5 friends together for group coaching and pay $50/hour of coaching instead of $150! The group coaching is tailored to the group's needs. Each group gets to design their own coaching package. The only set criteria is the price of $50/person/hour of coaching. This package includes 3 months of coaching @ 3 sessions/month.